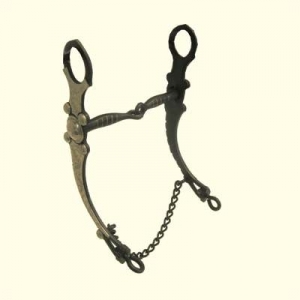 Here at HorseTackNow.com we offer Snaffle Bit With Engraved Shanks & Black Copper Inlay Mouth and many other exceptional products. This happens to be one of our most popular snaffle bits we have to offer. This product comes with engraved shank & black copper inlay mouth. The engraved shanks in these snaffle bits measure 8'' in size. This is one of the finest products available, a wonderful bit for your horse.